The unique blending of style and function that a hanging chair offers is perfect for anybody’s bedroom. Of all of the rooms in a house, none other implies comfort, personal style and privacy more than the bedroom. It is where we sleep, where we wind down, where we go to think, where we go when we want to be alone. It is our own personal safe haven within the larger context of our home. The home may belong to your entire household, but your bedroom belongs to you. The fact that the bedroom is the place where we can be ourselves at our leisure is also what makes it an ideal room for a hanging chair. 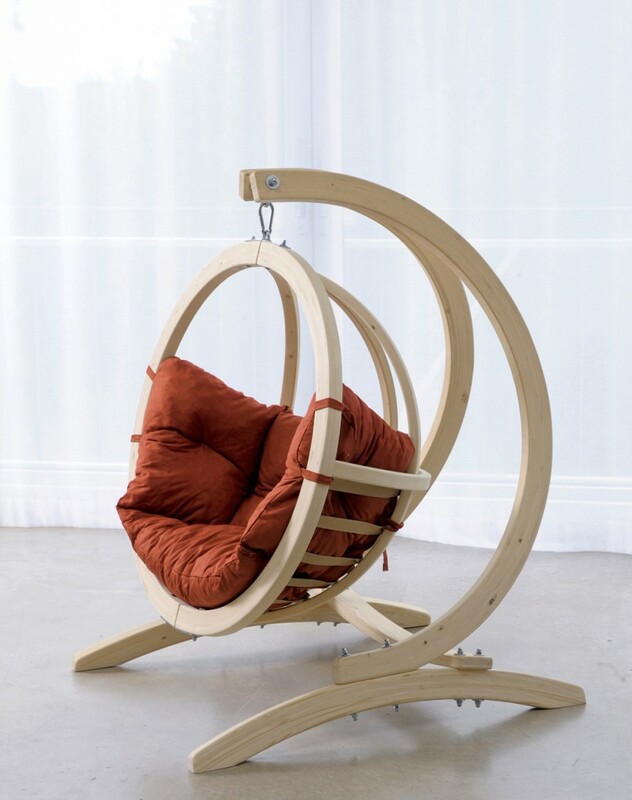 Before anyone scoffs at the idea or casts it aside by thinking it “impractical,” it is important to look at some compelling reasons why an indoor hanging chair is, in fact, an excellent choice for the bedroom. Many people have misconceptions about how a hanging chair is installed. Some people may wrongly believe that a hanging chair wouldn’t be practical in their bedroom. Perhaps the dimensions of the room are too small, or the ceiling too low. Maybe the home is rented and you don’t want to attach anything to the ceiling. Fortunately, the reality is that none of these reasons are obstacles for placing and enjoying a hanging chair in the bedroom. There are essentially two main types of hanging chairs. The one that most people first envision when thinking of hanging chairs is the free hanging model. These are secured by a chain, or rope, to a hook that is installed to a beam in the ceiling. 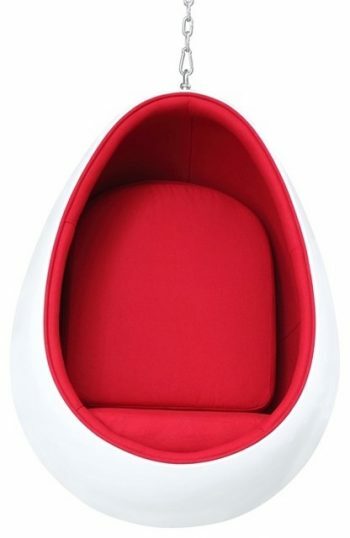 There is also a second category of hanging chair that does not require any such attachment to the ceiling. These are framed, or platform-based hanging chairs. They are built with a frame from which the chair hangs. Both offer the freedom of full swing motion, with the latter adding the convenience of being able to be re-positioned anywhere in the bedroom. In order for a bedroom to be as comfortable as possible, it is essential for it to be clutter free. Traditional chairs often take up a lot of physical and visual space in the bedroom. A free hanging chair can provide an equal or larger seating space in an area smaller than most traditional chairs. Additionally, they have the advantage of being legless, opening up the overall space of the bedroom, making it flow more freely. This increased spacial openness also has the added advantage of making vacuuming or sweeping easier. For those with allergies, it should be noted that the areas in a bedroom where dust and allergens accumulate the most is precisely under traditional chairs, tables and bed frames. A hanging chair eliminates one of those sources. While most people will want to keep the area below a hanging chair free of any items for aesthetic reasons, in smaller bedrooms, tasteful storage bins could be kept on the floor immediately below the hanging chair without hurting its appeal. The swinging motion of hanging chairs have been demonstrated to be mentally and physically soothing. Imagine going into your bedroom seeking refuge from the stresses of work and home life. What better place to settle into than a hanging chair. 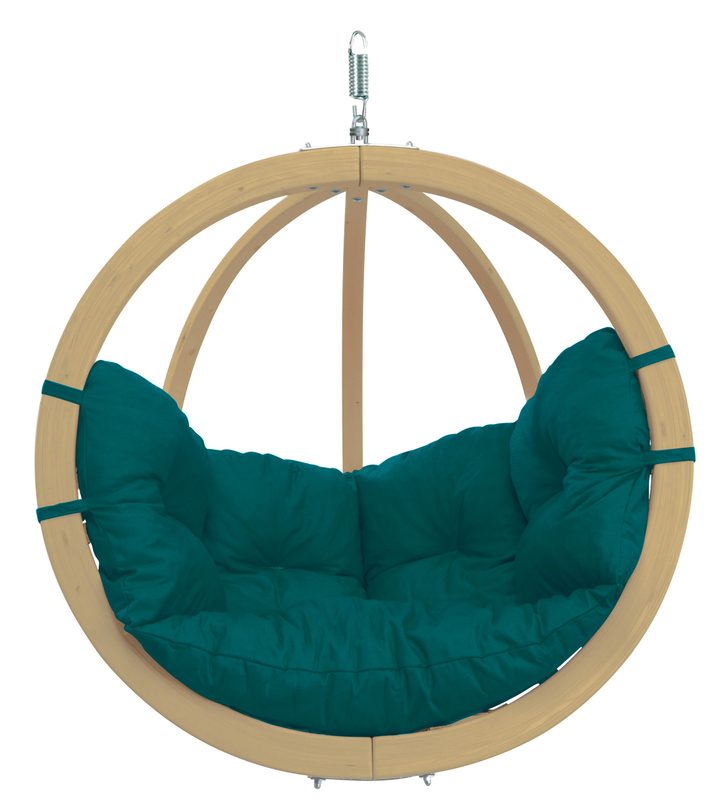 Like a cozy nest within a cozy tree, the hanging chair is ideal to rest, read or simply relax. The same swinging motion that soothes and relaxes has also been determined to stimulate the cerebral cortex. This results in improved concentration. 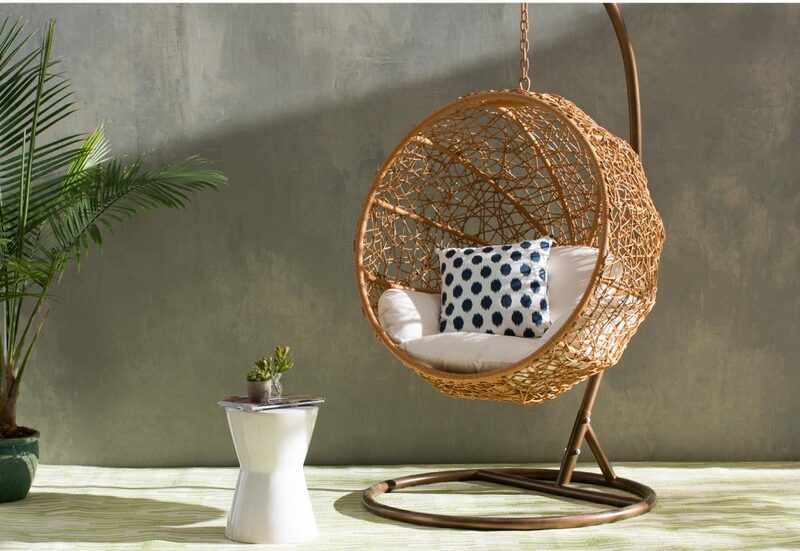 So, when you need to focus on solving a problem, or you want to absorb more of what you are reading, or even to do some writing, a hanging chair is ideal. 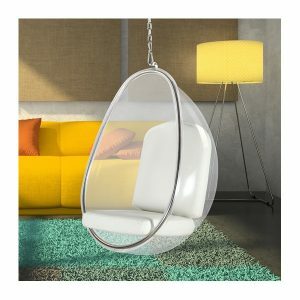 A hanging chair will immediately add a touch of uniqueness to any decor. It can easily become a focal piece, perfect for establishing the tone of your bedroom’s style and look. Likewise, it can also take on a more subtle role, serving to highlight or accentuate other portions of the bedroom layout. 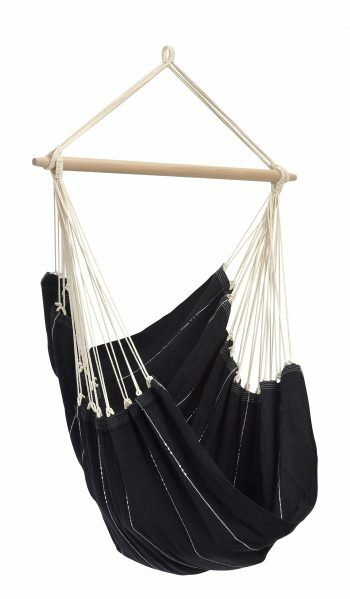 Hanging chairs come in a variety of colors and materials. From the ultra-contemporary like the transparent bubble chair to the casual like the hanging basket chairs, to the rustic and everything in between, it is easy to find a hanging chair suitable to your tastes. 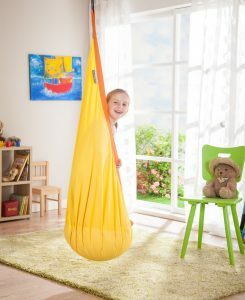 Hanging chairs are very practical in children’s bedrooms. Aside from the obvious “fun” appeal that they bring, they also stimulate quality “down” time for kids. It is the perfect place for them to read, extend their imagination, sit and draw. It makes for the perfect counterbalance to today’s high-tech, fast-paced routines that our children are increasingly exposed to on a daily basis. In a guest bedroom, not only does the hanging chair’s space-saving attributes come into play, but it also makes for a great way to highlight your sense of good taste and practicality to your guests. Not only will you be the subject of praise for your hospitality, but also for your impeccable sense of style. The bedroom is an ideal location for an indoor hanging chair. For most, it will be the room in the house from where they will be able to derive maximum benefit from all of the attributes that such a chair has to offer. The majority of reasons that people give not to have one are unfounded. A hanging chair will offer needed comfort, practical repose and sublime elegance to any bedroom. For most, it will be the room in the house from where they will be able to derive maximum benefit from all of the attributes that such a chair has to offer. The majority of reasons that people give not to have one are unfounded. A hanging chair will offer needed comfort, practical repose and sublime elegance to any bedroom. There is no reason not to have one.